Sympatico is a coordinated collection that combines hard spinner cases with soft companion pieces. Take them together and get rolling or remove one and conveniently carry it with you. 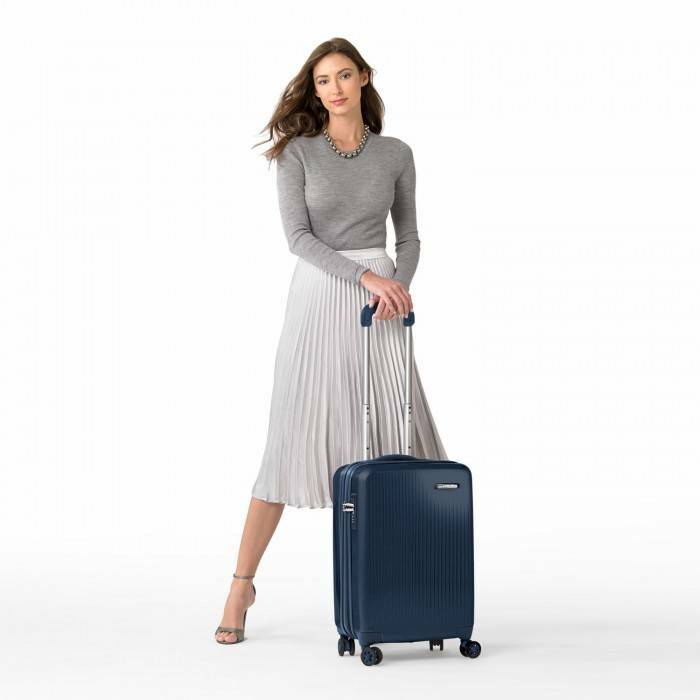 SYMPATICO INTERNATIONAL CARRY-ON SPINNER (SU121CXSP): Breeze through airplane aisles and distant getaways alike with the International Carry-On Spinner. Four double swivel wheels and a polycarbonate case mean that you can protect your contents while still enjoying effortless 360° navigation.